You have about four seconds to retain a first-time visitor’s attention long enough to convert him or her to your email list or sell them a product or service. The good news is that, in most cases, page load time can be dramatically improved with a few tweaks. Maybe as much as 54% with the five we’re about to drop on you. Ready? Let’s go! 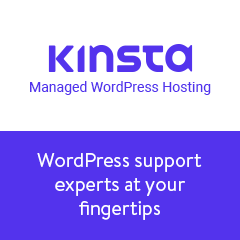 The Kinsta hosting review focused on user experience, customers' usability and quality of WordPress support. Furthermore, we have conducted a stress test on the most resource-intensive theme in our portfolio – Motors, see the incredible results underneath. Google has launched a new ranking algorithm specially created for mobile search. The company named it the “Speed Update,” and they stated that it will only impact a small percentage of queries and only pages that “deliver the slowest experience to users” will be impacted by this update. We present an intriguing Tide project which goal is to improve the quality of the code in WordPress themes and plugins. In case you are also about to launch your own cryptocurrency business and need a website to present your product or service, WordPress themes may be the optimal solution for you. W3 Total Cache plugin can help you improve SEO score and user experience of your website by increasing its performance rate using various tools. This article will help you become familiar with the plugin and its features. WordPress has become the most convenient platform for blogs due to its flexibility and powerful features. Choosing the right WordPress blog theme will be crucial for you especially when you are not a web developer or designer. WordPress theme will determine the look of your site and how user-friendly it would be. Whether you need a car dealership or classified wordpress theme, pick a solid one since 39% of visitors disengage if a site’s design is unappealing.